Boxwood (box, Buxus, smoke tree) is an evergreen shrub native to Southern Europe, Western Asia, and Northern Africa. Its extract used for rheumatoid arthritis, diarrhea, stomach pain, hernia pain, abdominal distention, pain, bruises, swelling, sores, and carbuncles. Fisetin, a flavonol found in boxwood, was first described by Austrian chemist Josef Herzig in 1891 and it has shown anti-aging, anti-inflammatory, anti-cancer and anti-viral properties in clinical studies. Boxwood extract is also used to treat HIV/AIDS and to boost immunity. 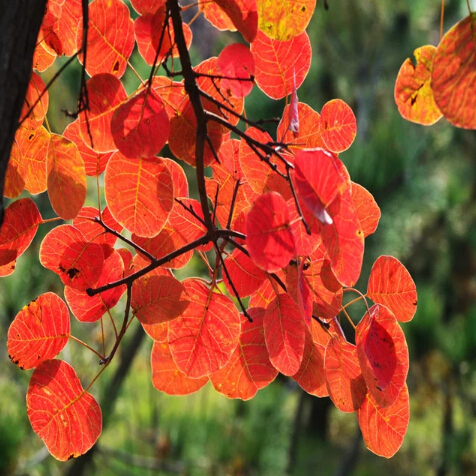 Fisetin, also called smoke tree extract, is a flavonol, a structurally distinct chemical substance that belongs to the flavonoid group of polyphenols. It can be found in many plants, where it serves as a coloring agent. Its chemical formula was first described by Austrian chemist Josef Herzig in 1891. Fisetin can be found in various plants such as Acacia greggii, Acacia berlandieri, in the yellow dye young fustic from Rhus Cotinus (Eurasian smoke tree), in Butea frondosa (parrot tree), Gleditschia triacanthos, Quebracho Colorado, and the genus Rhus and in Callitropsis nootkatensis (yellow cypresses). It is also reported in mangoes. It is applied in the food field, it has become a new raw material which used in the food and beverage industry. 1. Fisetin can be used to cure rheumatism, dysentery, gastrological, hernia, abdominal distension, toothache, traumatic injuries, and skin ulcer in clinical. 3. Fisetin can indicate rheumatoid arthritis, diarrhea, stomach pain, hernia pain, abdominal distention, pain, bruises, swelling, sores, carbuncles. 4. Natural fisetin dispels wind and dehumidify.